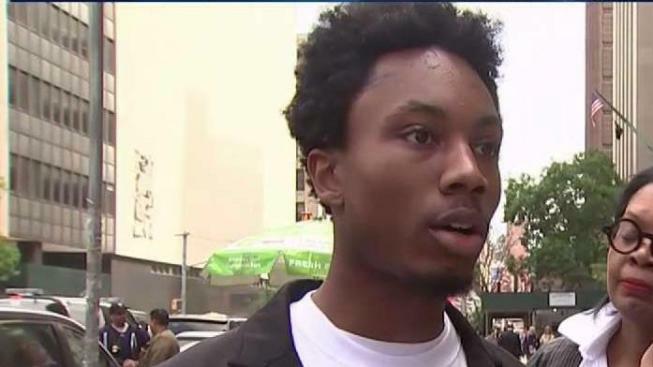 An Airbnb rental turned violent in Chelsea last month, and now an emerging Manhattan fashion designer says he was beaten over the head with a bottle because he’s black. Armani Murrell, 22, was smashed in the face during a melee that erupted the night of May 16. He needed more than two dozen stitches to close the wound. The fracas began when Murrell’s girlfriend, Helena Amare, paid $975 for a single-night rental to celebrate her 21st birthday. The listing said, "Stunning highline loft for groups!" -- an ideal description for the celebration. Amare said she ran errands while her friend, who is Asian, picked up the keys. Murrell arrived after a fashion event that evening, and said he was immediately accosted by 22-year-old Marco Lanuto, who claimed the loft was his apartment. 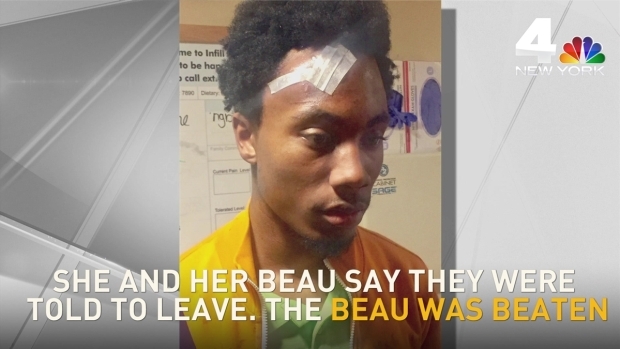 "He said, ‘You guys are not welcome here,'" Murrell told the I-Team, adding Lanuto used racial epithets and then physically forced all of the guests out of the apartment. Lanuto can be heard on cellphone video swearing angrily at the guests, who requested a refund. Murrell said when he got to the stairs, he was smashed over the head with a bottle by Lanuto’s companion, 25-year-old McKenzie Foster, a real estate agent and restaurant owner. Murrell needed 25 stitches to close the gash. Foster, who did not respond to repeated messages left by the I-Team, was charged with felony assault. Murrell and Amare were both charged with misdemeanor assault for allegedly punching Foster in the face. "I feel like I’m the victim, but I’m not being treated as so," Murrell said. Lanuto, who was not charged, declined to speak to the I-Team at the building. Murrell’s attorney, Ron Kuby, said he has asked the district attorney to turn over all cellphone videos and any surveillance video from the building. Amare said she recorded the altercation on her cellphone, which police confiscated. Kuby said, "The racism is palpable," adding he believed the case should be investigated as a hate crime. "We followed the rules," added Amare. "We didn’t do anything that was against what was stated on Airbnb." Murrell and Amare are due back in court in August. Foster, has a July court date. In a statement, Airbnb spokesman Peter Schottenfels said, "We are investigating this incident and will take appropriate action. Reported behavior like this has no place on Airbnb."